In wanting to have a dedicated travel blog, I started LANGYAW.COM to document and share my passion in travel. From that time to the present, after several awards and recognition, and almost 800 posts later, I can’t just believe that this blog is now SEVEN years old! SEVEN! That’s quite a number in the blogosphere and it’s no mean feat. Yes, there have been times that I got to question the idea of keeping on, of always posting new articles. There were times that I got lazy or bored and there were times that I would have given up this habit but the idea of sharing my passion, of showcasing off the beaten path places or new food, or new experiences on the road can be irresistible. 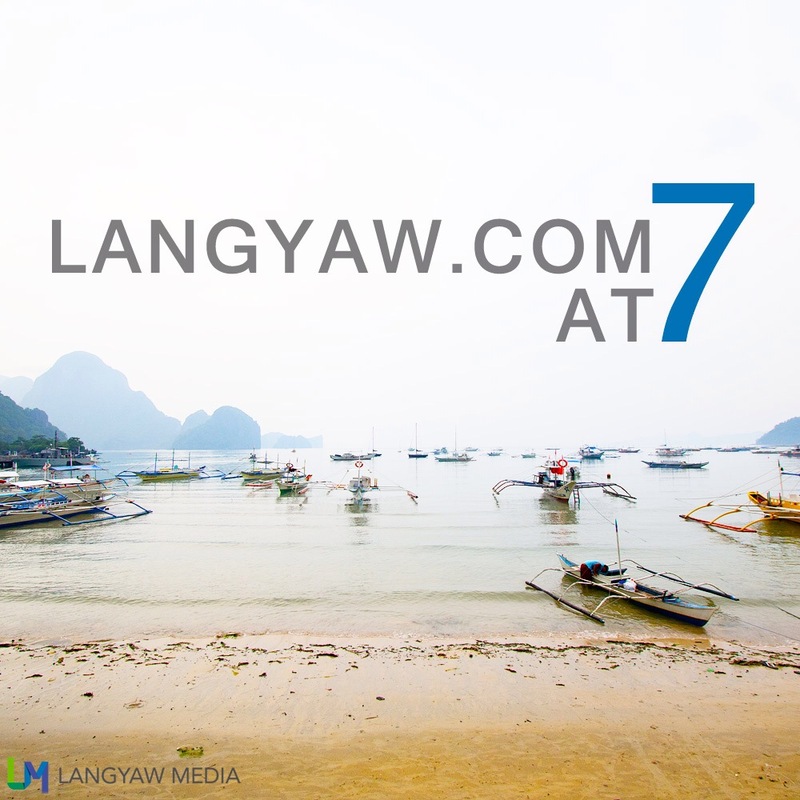 Over the past seven years, Langyaw.com has transformed into a mere travel journal to something that complements my being a freelance photographer and writer. It has opened doors for me to travel to new places that I would otherwise won’t be able to visit, meet people from different walks of life and enabled me to be a person of influence, a digital influencer whose voice, through writing, photography and social media matters. I do keep up on current trends but never forgetting why I started this blog. As I look ahead, I am striving to bring this to new heights, trying out new things, building a community as Langyaw.com will be a major vehicle in my fledging company, Langyaw Media. Congrats Sir Estan! Looking forward for many years to come! Keep traveling and keep inspiring.Keep it up!